Someone who is arrogant thinks very highly of himself, and so can be overbearing, full of himself, self-important, and superior. Braggadocio is a proud way of talking about your achievements or possessions that can annoy others. If you say that people you know are bumptious, you are annoyed with them because they are too proud of their abilities or opinions: they are full of themselves. If you possess conceit, you have excessive self-pride and thus think too highly of your own abilities. Someone who is diffident is shy, does not want to draw notice to herself, and is lacking in self-confidence. You show disdain towards another person when you despise what he does, or you regard him as unworthy of your notice and attention. Someone who is egotistical thinks about or is concerned with no one else other than himself. When someone flaunts her good looks she shows them off or boasts about them in a very proud and shameless way. An officious person acts self-important and is very eager to offer unwanted advice or services, which makes him highly annoying. One is overweening when he is not modest, but rather thinks way too much of himself and lets everyone know about it. If you are pompous you think that you are better than other people, and so tend to show off and be highly egocentric. If you pontificate you give your opinions in a heavy-handed way that shows you think that you are always right. Someone who is reserved is quiet, self-controlled, and keeps his thoughts mostly to himself. If someone is sententious, they are terse or brief in writing and speech and often use wise-sounding proverbs to appear morally upright and wise. When you strut about you show off or act like you own the world. If you are vainglorious you are very proud of yourself, and let other people know about it. I can’t believe how pretentious or self-important my Uncle Hilbert from England is. He thinks he’s the world authority on English literature but is constantly misquoting lines and mixing up authors, during which time he has his nose in the air in his pretentious and snobby way. I remember one day I told this pretentious person who thought he was so great that most of the time he’s wrong about what he says, and he brushed me off, saying that I was just a little pipsqueak. Quiz: Try again! What is someone like who is pretentious? He showily claims that he is really great at something. He knows a lot about a subject. He has certain peculiarities because he is from a different country. Pretend to Be Cautious I can't believe how pretentious Gilbert is being by pretending to be so ridiculously cautious around those paintings as if to make it seem like he, and he alone, knows their extreme value--it makes me sick! Someone who is being “pretentious” has the “nature of stretching (himself) out in front of or before” others in a showy way so as to be obviously seen. 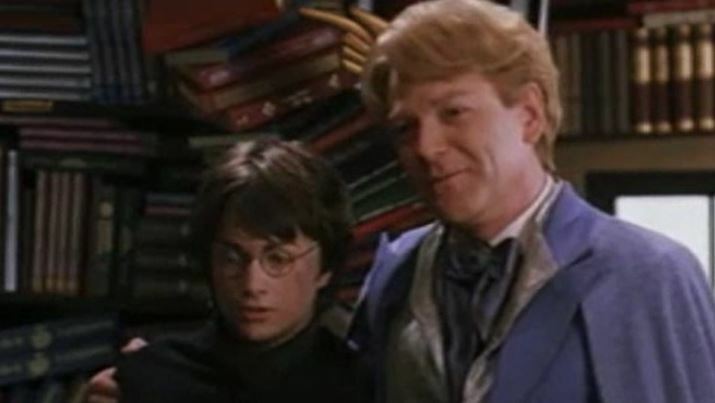 Harry Potter and the Chamber of Secrets Gilderoy Lockhart is so pretentious.